My Wanhao duplicator i3 arrived. Getting it out of box is not a job for one man – it consists of three parts (bed, gentry and power unit) all connected with various cables. So, be prepared to totally cut out cardboard box, or better, get some extra hands for the job. Once out, with a pair of extra hands, assembly is straightforward. In the instructions it is clear that you have to screw down two screws from outside of gentry posts, but there are two more from the inside. Without those two everything is wobbly. With “safety first” maxima in head, scanning the internet, I found out that it is good idea to fix terminal where hot bad wires are screwed to the main board. Suggested solution is to exchange existing connectors with XT60 connectors. I purchased locally XT60 connectors before receiving my i3 so everything was ready, except, that there was more than 30 years since I worked with soldering iron, and procedure required that you took out an old connection from the board, and solder XT60 in its place. So for this occasion I called my father in law to help. We opened power unit housing and found out that our main board does not look exactly like board on internet. We found out that on the place where hotbed wire connect to board, on our board, main power wires from power unit connect to board. Abort, abort!! Maybe we have to take another approach. Other suggested remedy for the same problem is to put MOSFET element for hotbed. What exactly is MOSFET element I don’t know, but basically it supplies hotbed with power through some safe electronic set and not through main board. So for now, until I acquire MOSFET element, my 3d printer is not officially fire proof. We put back together the power unit, and made an arrangement to see again when I obtain all required parts. 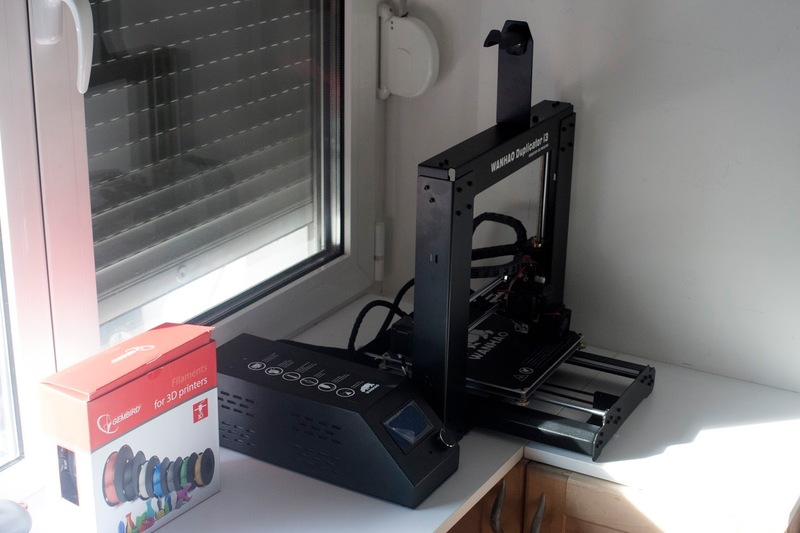 So now I’m ready (or not), to switch-on my 3d printer for the first time.